Monte co-founded Patton Valley with Dave Chen in 1995 and currently serves as its General Manager, overseeing all operations. When not working his two jobs, Monte likes to play golf (badly) and tries to control his good-natured, but poorly-trained dog, Ollie. Leading our efforts to produce unique and authentic wines is our Winemaker and Vineyard Manager, Derek Einberger, who joined us in the summer of 2010. With a degree in sculpture, a handful of years brewing beer around Portland, as well as harvest and cellar work in Italy, California, and Oregon, Derek’s eclectic and unfettered approach has cultivated a portfolio of wines that are at once playful and elegant. His style of production, from root to fruit to glass, mirrors that of the overarching ethic of Patton Valley: a light, but deliberate hand. Becoming a co-owner in 2013, Derek’s devotion to caretaking the estate emphasizes that hard work makes everything taste better. Dave co-founded Patton Valley with Monte Pitt in 1995. Born in Taiwan, Dave grew up in California’s Silicon Valley and attended the University of California, Berkeley. His father was a NASA scientist, so Dave was immersed in technology from a young age. While working for video-game pioneer Solectron, he attended Northwestern’s Kellogg School of Management, met Monte Pitt and the Patton Valley idea was born. Following graduate school, Dave worked as a management consultant for McKinsey before moving to Portland to work in marketing at Mentor Graphics. He went on to start two more successful businesses in Portland, GeoTrust and the Ascent Group, before becoming a partner with the venture capital firm Olympic Venture Partners. His current business, the Equilibrium Group, is a holding company building a portfolio of asset managers in key sustainability sectors. Dave’s commitment to sustainability and innovation is reflected not only in the operation of the Equilibrium Group and Patton Valley, but in the boards he sits on: the Portland branch of the Federal Reserve Bank of San Francisco, of which he is the chair; the National Collegiate Inventors and Innovators Alliance; The Freshwater Trust; the Oregon Investment Fund; and the Oregon Innovation Council (past chairman). Dave also holds a faculty position at the J.L. Kellogg Graduate School of Management where he teaches sustainability and finance. A co-owner of the winery, Sherie handles Patton Valley’s administrative duties, including bookkeeping, compliance reporting, and human resources. Born in California into a Navy family, Sherie moved around as a child, stopping in Morocco among other places before settling in Virginia. She graduated from the University of Virginia and the Tuck School of Business at Dartmouth. After business school, Sherie built a career around medical device and pharmaceutical marketing before she took on the role of full-time mother. In 1996, she moved with her family from Boston to Oregon to help start Patton Valley. A fitness devotee, she loves cycling and hiking in Oregon’s beautiful countryside, gardening and cooking. 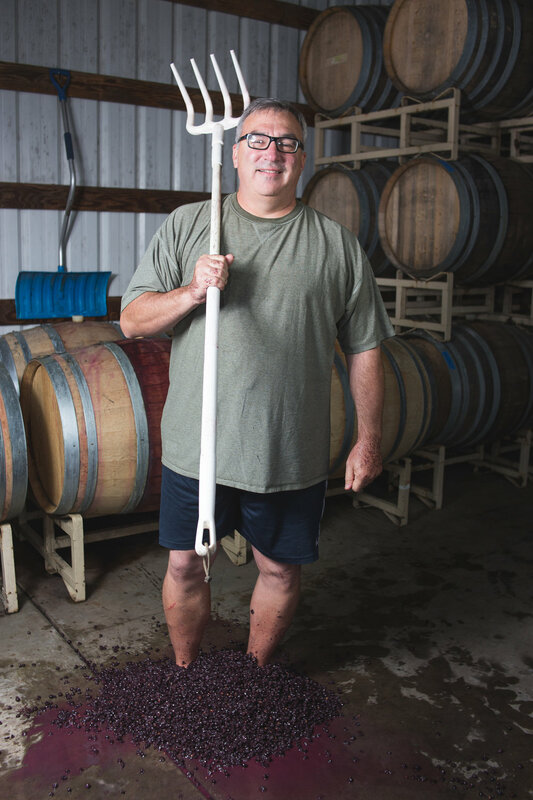 Midwest born and bred, with a constellation of diverse experience, Mike has been in the wine business since stumbling into it as a college student without the money to pay for college by working at a fine dining restaurant. After college, the usual compliment of seemingly unrelated career moves (Rock star? kind of; High School teacher? mostly; Sommelier? Yes; Raconteur? decidedly) proved not to stick. Oregon wines continued to seduce, and opportunity knocked. A natural educator and entertainer, passionate about wine to the point of being theatrical, and seemingly endless enthusiasm make Mike an engaging storyteller and an easy fit at Patton Valley. Find Mike on the road extolling the virtues of Oregon Pinot Noir, frantic in an airport, at the winery with his trusty sidekick, Sumo, or skiing down the slopes of Mt. Hood (provided it snows again ever). Justina moved here from Idaho and deeply resents all of the potato and, “You da ho!” jokes. While in Idaho, she spent 4 years doing a little bit of everything in the industry, from managing the tasting room to running labs and working harvest. But her first love was Oregon Pinot Noir and she is thrilled to have finally made her way back to it. See her in our tasting room and you’ll get why we hired her. An absolute firecracker, Justina is a great addition to our PVV team. A graduate of Washington State University’s wine business program (Go Cougs! 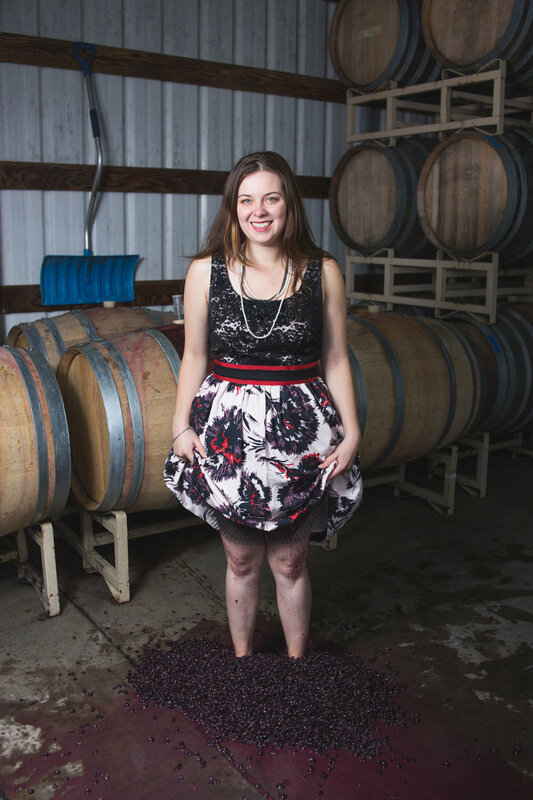 ), Megan began her wine career at a specialty wine shop in the San Juan Islands. Her inaugural harvest was in Washington’s Red Mountain AVA in 2015. From there she played in New Zealand, the Willamette Valley, Tasmania, and back. A two-year stint at the Carton Winemakers Studio was the primary learning experience in her winemaking career that led her here, to PVV. If she’s not pulling samples for lab work or racking barrels in the cellar, you’ll probably find her at the local watering hole (The One Horse, of course) sipping some ice cold beer.